This single-volume museum studies reference title explores the ways in which museums are shaped and configured and how they themselves attempt to shape and change the world around them. Written by a leading group of museum professionals and academics from around the world and including new research, the chapters reveal the diverse and subtle means by which museums engage and in so doing change and are changed. The authors span over 200 years discussing national museums, ecomuseums, society museums, provincial galleries, colonial museums, the showman’s museum, and science centres. Topics covered include: disciplinary practices, ethnic representation, postcolonial politics, economic aspiration, social reform, indigenous models, conceptions of history, urban regeneration, sustainability, sacred objects, a sense of place, globalization, identities, social responsibility, controversy, repatriation, human remains, drama, learning and education. 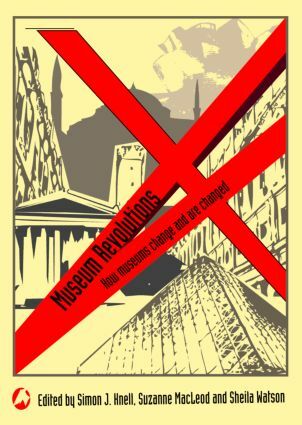 Capturing the richness of the museum studies discipline, Museum Revolutions is the ideal text for museum studies courses, providing a wide range of interlinked themes and the latest thought and research from experts in the field. It is invaluable for those students and museum professionals who want to understand the past, present and future of the museum.